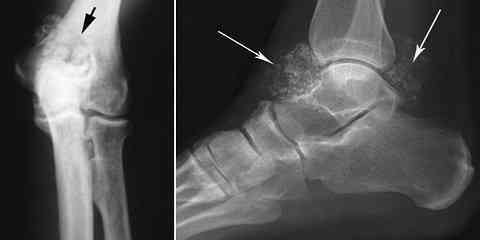 How Can a Broken Ankle Be Diagnosed? What Can You Expect during the Recovery of Broken Ankle Surgery? Broken ankle is one of the most common ankle injuries. It usually happens to athletes or can be caused by accidents. It is different from sprained ankle (broken vs sprain). Broken ankle is also called as ankle fracture. There are some symptoms of broken ankle include severe pain on ankle, swelling at the joint, tenderness when being touched or bent, redness, etc. If the condition is serious, you may need to take broken ankle surgery. 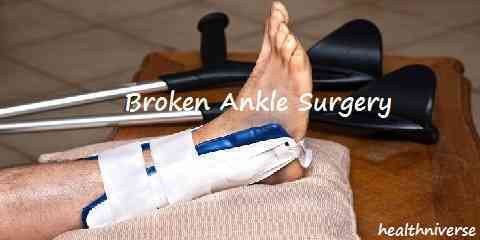 Ankle surgery can be the last option if you experience serious ankle fracture. During the recovery, you can use certain crutch to help you walk as normally. This is the most popular technique used. It has the highest degree of success to diagnose broken ankle. This can also determine whether there are other fractures or not. In this method, the technician puts some stresses on the broken ankle areas to know the required treatment. It purposes to scan the images of your leg, ankle and ankle joints painlessly and fast. It shows both soft and hard tissues. It is really helpful to diagnose the broken ankle. It creates pictures of ligaments, soft tissues and bones in high resolution. If CT or X-ray shows the damage on soft tissues / ligaments, this technique should be done for the further test. There are some options of treatment for broken ankle. So, broken ankle surgical treatment is not the only option. However, if you get extensive damage, surgery may be the only treatment to follow. 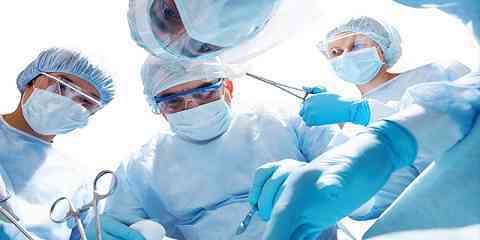 There are many procedures of surgery that you need to understand before you take it. If the broken ankle isn’t dislocated, there are some alternatives of non-surgically treatments. It depends on the condition of your broken ankle. Usually, the treatment of broken ankle takes about 6 to 12 weeks. However, it can be more than 12 weeks to wait until your broken ankle is completely treated. During the fractured ankle surgery recovery, you are still not able to walk normally as usual. However, you can still wall but with certain helps. Usually, doctors will suggest you to use a crutch. There are some types of crutch that you can use. Here are the common options that you can use. This is the most popular crutch. It comes in either single crutch or in a pair. To help you walk, you need to hold up the broken ankle. You can use this crutch with your hands. It can be a good alternative because it allows you move faster. It requires less strength of the upper body so that you can still do daily activities as usual. It is a non-weight bearing alternative for those who experience broken ankle. It is recommended for those who have just taken ankle surgery. With this crutch, you can walk more comfortably and do the routine activities.